Looking for a Furniture Removalist in Brisbane and the Queensland area. Look no further. Brisbane Removals and Storage perform residential relocations, office, shop and factory removals throughout Queensland, New South Wales and metro areas. Our expert furniture removalists at Brisbane Removals and Storage get your relocation problems solved quickly. 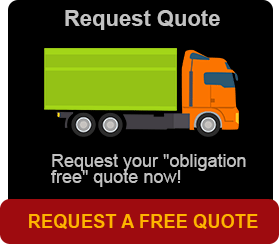 Your Treasured Possessions and belongings are transported with utmost care and professionalism Australia Wide. Understanding the importance of smart packing when it comes to furniture removals and moving Brisbane Removals and Storage take every move on its own merits and give you that warmth of personal service. Whether it’s furniture white goods, residential or office relocations, we will guarantee and make sure your goods are correctly packed and safely transported in our removal trucks and container vehicles. For more information on our friendly and professional services, call Brisbane Removals and Storage today. At Brisbane Removals and Storage, we always follow the strictest of deadlines and commitments to best of our ability and serve you with a very professional service, ensuring our employees are on their best conduct at all times and treat all your furniture, items and buildings with the utmost respect. We guarantee 100% on time delivery and collection of packed materials and specialise in packing and unpacking. See our packing page. We have a great packing team so you don’t have to do it if you haven’t the time. 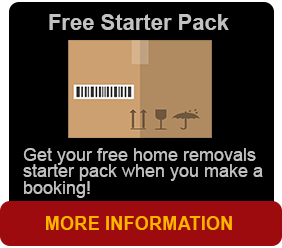 You’ve made the right move when you book with Brisbane Removals and Storage. We offer a variety of special services to our commercial, industrial and our domestic & residential customers making sure of their needs. We can help relocate your belongings from your home, your apartment, your unit, your flat or your townhouse. If you need a hand or you want us pre pack and complete everything, that’s is OK with us. In fact we can include your cleaning. We certainly have you covered. Our team of removalists will arrive on time, load your household items carefully using appropriate lifting techniques, strapping methods and using removal blankets. They will also transport your belongings to your new home and put them in the rooms as directed by you. We can also fully pack your items as mentioned and can also unpack at your new home. At Brisbane Removals and Storage in our office moves section have relocated a tremendous amount offices over the years. To put it simply, they know what they are doing. We can undertake your move as your budget allows it to do for you. We try to keep down time to an absolute minimum so your office is fully functional asap. Our administration staff can talk to you concerning this prior to booking and they will take control of the whole relocation and as well have one point of contact throughout the move. Are you planning on relocating or moving your business to another location? Do you have a factory, a shop or even a hotel or motel that needs to be moved? We can plan your move from start to finish. We do have the experience in moving hotels, workshops, hospitals, restaurants, cafes and even libraries. Whether large or small, we can look after it. If you are running a business, you don’t want to be closed for any longer than is necessary. We can help you move sometimes o/ night to ensure that downtime is minimum. Even if you are located in the CBD or elsewhere, no job is impossible.